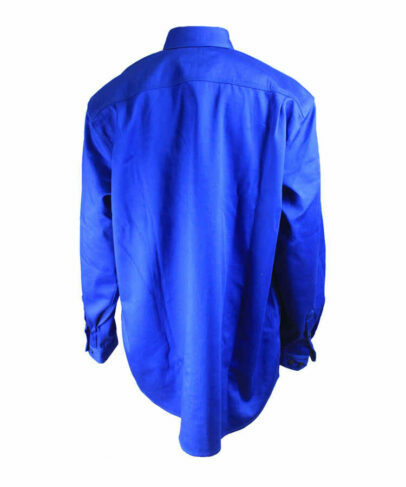 This royal blue aramid arc fire retardant anti-static shirt made of 150gsm aramid arc fire retardant anti-static fabric, and can meet EN ISO 11611, EN 61482-1-2, EN1149-5, NFPA2112 and other standards. 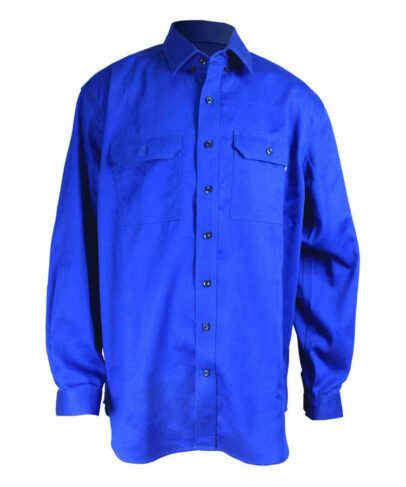 This aramid arc fire retardant anti-static shirt has permanent FR property, good anti-static property. 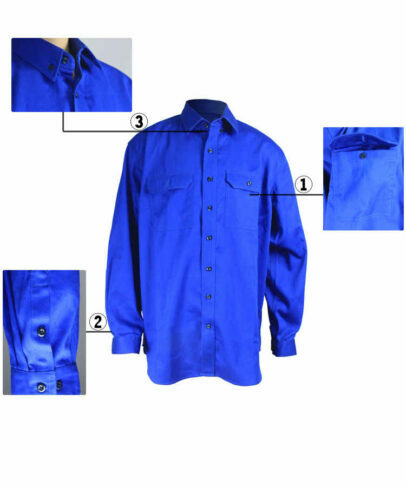 Also has excellent tensile and tear strength. 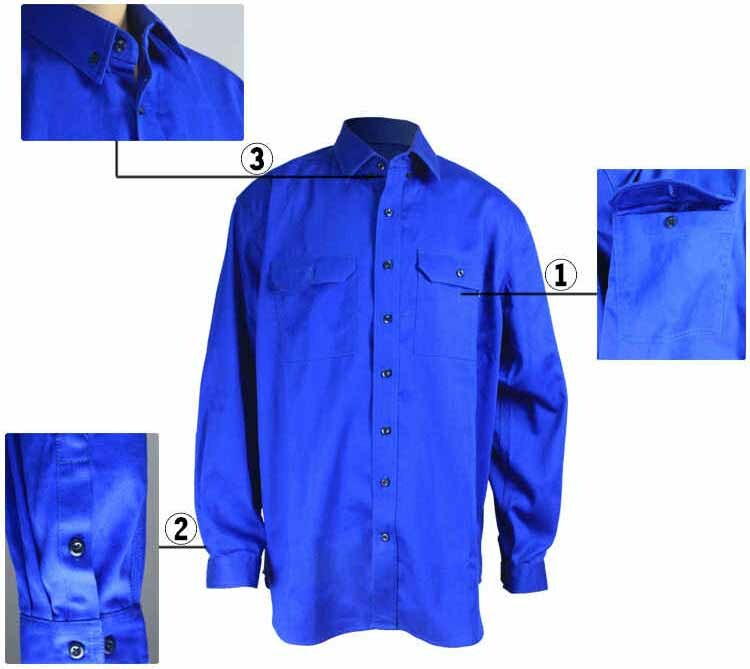 The royal blue aramid arc fire retardant anti-static shirt has no melting and non-toxic when burning, outstanding chemical resistance property and good mechanical property. 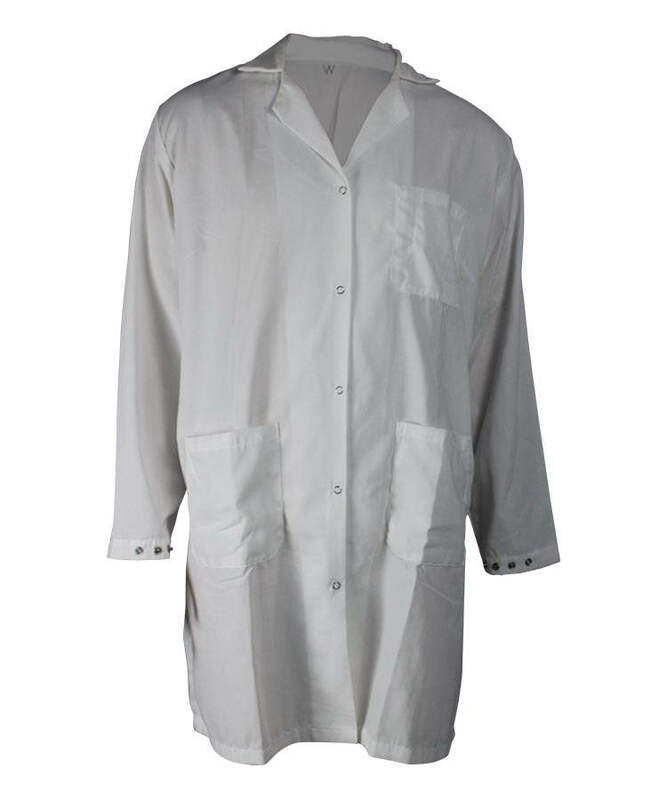 This aramid arc fire retardant anti-static shirt can be widely used in the industry of aviation, oil and chemistry, electrical and so on. 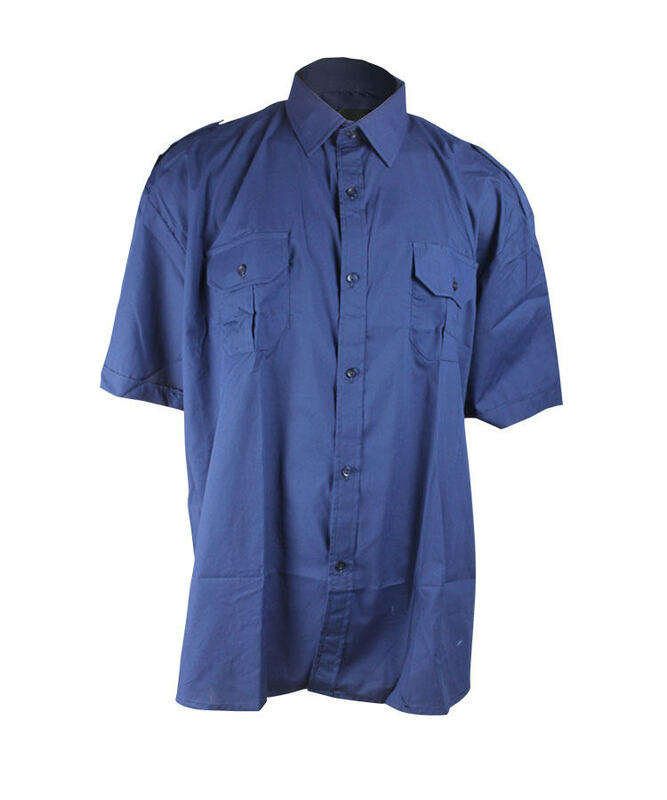 This royal blue aramid arc fire retardant anti-static shirt has two patch pockets with flap on the front of chest, closure with four eyes button, There is loop hole for pens in the left front chest pocket, it is much convenient and practical. Both ends of the collar closure with small four holes button, to fix the collar type and avoid awkward caused by the collar valgus. 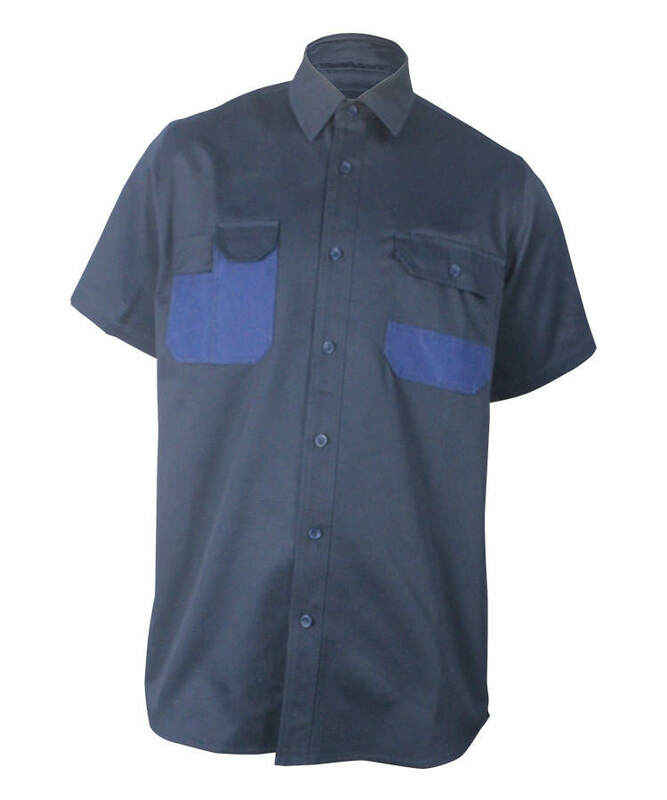 The shoulder with three stitches fell seam workmanship, durable and beautiful. Side seams with 3 stitch lines fell seam, wearing comfortable and beautiful. The sweep is circular, with fashion sense. 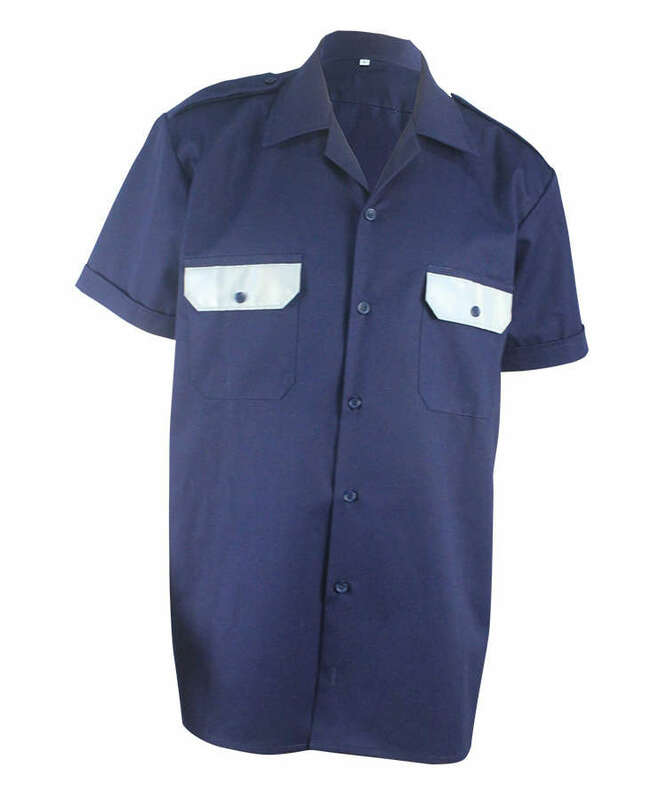 Front placket closure with four eyes buttons.